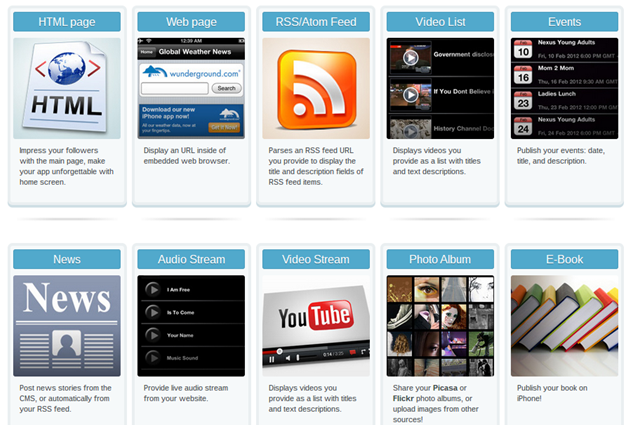 It’s easy for the app designers at iBuildApp to put together mobile app templates and expect people to love them. Why? Because they put tons of effort into each and every app and use feedback from users to understand exactly what features help different industries. That got us thinking, what about those new mobile app developers who are just getting started with the iBuildApp interface? Are there some special tips that our developers can pass onto those of you who are just beginning to navigate the exciting world of mobile app development? We talked to our team and put together the best tips for newbie app designers. Hopefully these can help you along the way. This has to do with learning about your industry and understanding the features that go along with it. If you run a shoe shop, then a reservation module probably won’t bring in many customers through your mobile app. On the other hand, if you run a blog, the news feed feature is ideal for pushing your content to your readers. Take a look at what other people are doing in your industry to understand exactly how to maximize the potential for your mobile app. The iBuildApp team is always coming out with new features. Just because you looked at all the features a year ago, doesn’t mean you can’t check back in to add something new. 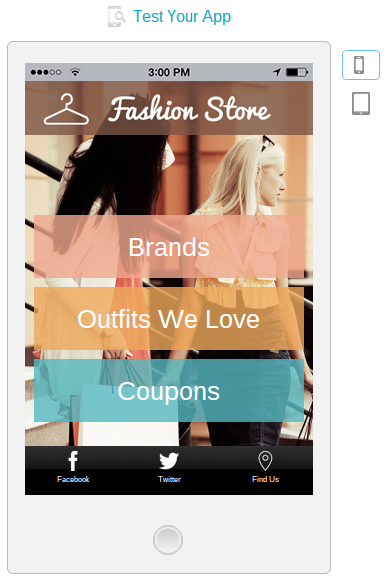 We recently added the shopping cart feature, allowing businesses to sell their products directly through a mobile app. We also included a feature to convert your Facebook page into a mobile app, making it quick and easy to control and update both Facebook and your mobile app at the same time. If you miss out on these feature updates then you might not be able to reach out to your customers the way you want. But app designers use this feature. If you go to the template area on iBuildApp, or the apps and features marketplace you will find a huge selection of items that you might not have thought about before. Think about this: If other people in your industry are designing apps that are bringing in customers then why not take some tips from them and see which features and design aspects app designers are including on their apps? What are the main reasons people download and use your mobile app? Is it to book reservations? Is it to make a phone call and find your brick-and-mortar shop? These are all questions that need answering in order to make your user experience the best it can be. If everyone goes to your restaurant app to make reservations then they shouldn’t have to click three or four buttons to locate your OpenTable module. This should have its own button on the homepage to make it quick and easy for customers. If you just add features and buttons randomly on your mobile app it all becomes a recipe for disaster. Draw out what you want you app to look like on a piece of paper or in a computer program to understand how it’s going to work. After that, use the editor module in the iBuildApp interface to see the preview of your app and click around to see if everything is working. If you really start to understand development and coding, you can make money off the features you create. How? Just upload the source code and list the feature on the marketplace for other people to buy and place on their mobile apps. Feedback is always an important part of creating a mobile app to app designers, so think about asking a group of your users to tell you exactly what they think is working with your mobile app. If lots of people specify that something should be changed, go back to the drawing board and change it up. Let us know in the comments section if you have any questions about how to make your app better as newbie mobile app designers. Share your concerns or questions if you are just getting started.